Chances are, you’ve heard this saying before. When I first heard it, I thought it was a bit arrogant. Truth be told, it is the reality of life and has a lot to do with where you think you’re positioned. It’s a mindset thing and requires a dose of self-awareness to choose where you stand. Do you consider yourself a winner? What on earth do I even mean by that? In order to achieve Financial Independence, you have to come to win. 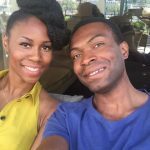 I’m talking about going on the journey from the ground up and still hitting that stage of the money journey. It’s no walk in the park if you don’t have any help. Yet, it is totally achievable. I know it because I’ve been on that journey and I’ve met scores of others who have made it happen in a variety of ways. I’m naturally drawn to such people because there is usually more to them than meets the eye. Mid 30’s, lives in a major UK University City. Chilled and far from arrogant. Mortgage free and works from home doing his own thing. Lives on minimal expenses but brings in about £10k a month in income through his side hustle. Currently growing his property portfolio with his GF as they diversify away from dividend-paying stocks. Interestingly, has no interest in travel (as some usually do). As I listened to him and his life story, I noticed a common thread with the many others I have interviewed and also met at various meetups. Both men and women from diverse backgrounds. This isn’t just something reserved for a particular group of society. These people have something about them and their life stories that we can all learn something from. Today’s post is meant to be light-hearted and fun but also makes some serious points. 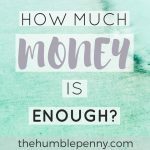 Yes, you need to save more, make more and invest more to achieve Financial Independence. But you need certain qualities to make these a reality and achieve Financial Independence one day. The ability to do life your own way being confident about why you’re doing life that way. 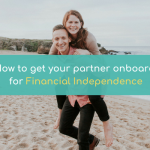 The journey to Financial Independence is a largely individual and often lonely journey. You spend most of that journey fighting the resistance and feeling like a weirdo sometimes. Every single decision you make each day is made with active consideration of why it matters to you and your life journey. It is this individuality that will stop you acting a fool and buying a brand new car because your friends are doing so. Or choosing to live in an overpriced city just because you have to have that postcode as part of your identity. This individuality leads you to the second important quality for Financial Independence. Becoming fearless doesn’t just happen in one day. This is because to become fearless starts with fearing less each day. Practically, this means you need to care less about what other people think of you. Will you be judged? Guaranteed! And will some people potentially laugh at your goals? Absolutely! Will you have haters? Probably! Should you care? Absolutely not! I call the readers of this blog ‘The Fearless Generation' for a reason. They are the people who recognise that a switch has been turned on in their minds. Goals such as Financial Independence stops being one they would like to achieve one day but one they must achieve one day. The fearless take necessary steps each day to make their goals a reality. They take risks that push them outside of their comfort zones, and for that, they get rewarded through learning by experience and more open doors. The journey to Financial Independence takes years to achieve and requires the ability to stay focused. I’ve interviewed people who have done it in 3 to 5 years, and those who have done it in a decade or more. I’ve personally found that it helps to have financial independence as your one “North Star” goal to stay focused. Having some accountability along the way also helps. Luckily, I did this journey with my wife, and that certainly helped to keep the focus on the goal. One helpful acronym is to Follow One Course Until Success! To me, this is all about the grind to make things happen without giving up. I’ve had days when I’ve worked till 11.30pm on a project I’m passionate about and sometimes felt like giving up! Then up at 4.30am to continue because giving up benefits no one. 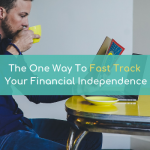 You will feel like giving up on the journey to Financial Independence. Especially as the messaging around you will get ever stronger to live today with no self-control. After all, “you only live once”. Only those who persevere make it across the line. Don’t try to get rich quick either. Simply follow the guaranteed paths that others have followed. Self-control sits alongside joy, goodness and patience. It’s a rare quality that our consumer culture of today has cast aside for excesses of all kinds. The saddest part of all is that such excesses are usually financed by debt and compound an ever growing problem. A lack of self-awareness leads to a lack of self-control. “Faith is taking the first step even when you don't see the whole staircase.” – Martin Luther King, Jr. I love this particular quote because I feel my life over the last 20 years has been defined by Faith Walks. There is no time I do anything with full information. 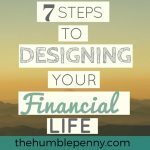 Yet, I have taken steps on my money journey that have completely blown my mind over time. Faith is all about the belief that the dots will connect and that you’ll achieve what you set out to achieve and more. Nothing worthwhile in life is ever achieved without first taking some steps forward. Whether you are on a low-income today or struggling with debt, you’d be amazed by what you can achieve by having some faith coupled with action. Faith is the complete opposite of fear and tied very closely to Faith is Desire. One of the big fears I had for a long time was the fear of staying poor. Many people face this same fear today, which includes the fear of never breaking the paycheck to paycheck life. At one extreme, one could believe they are meant to be poor and inaction would keep them there. However, at the other extreme, there is the option of changing the game forever. Financial independence makes that possible. 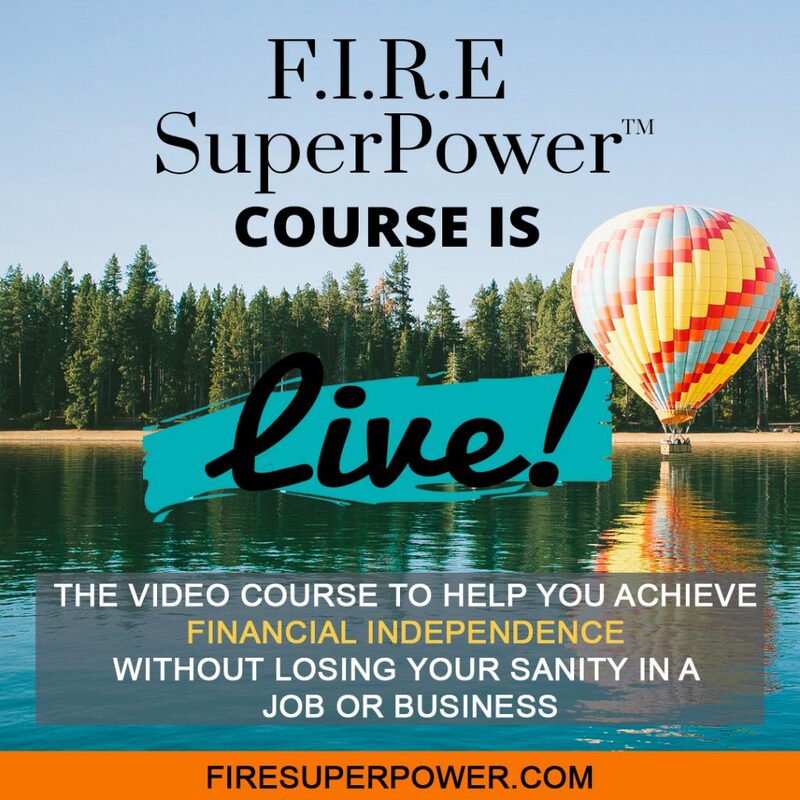 You need a burning desire and a clearly defined plan for financial independence to start to become a reality. For the least creative, the savings rate is one important path to Financial Independence. However, for those who understand that creativity in wired into them, the possibilities are potentially endless. Whether you are trying to double your income in the next 3 years or make money from 3 or more sources, creativity is the fuel you need. Best of all, creativity is wired into all of us. The more fearless you are about life, the more you’ll employ your creativity. This is necessary for all aspects of this journey to Financial independence. From consistency in meeting and exceeding your savings rate, to investing regularly. Other examples include the consistency in committing the spare time to achieve your goals. 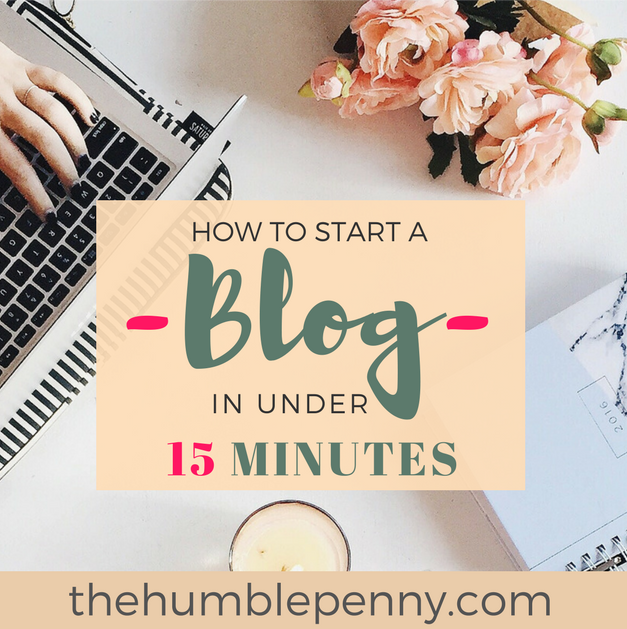 This blog for me is a good example. I consistently sow 2 hours a day of my spare time into making sure I deliver excellence in content and user experience. It takes commitment to an altogether bigger purpose in order to stay consistent and achieve your goals. 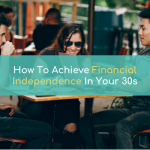 Financial Independence is one such bigger and purposeful goal. 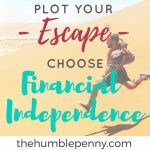 Financial Independence is a possibility for you if you want it to be. Don’t consider it because other people are doing it. There has to be an altogether personal reason why you believe this is something that will change your life. Once you have given yourself permission to beat fear and take the leap, you should never look back. 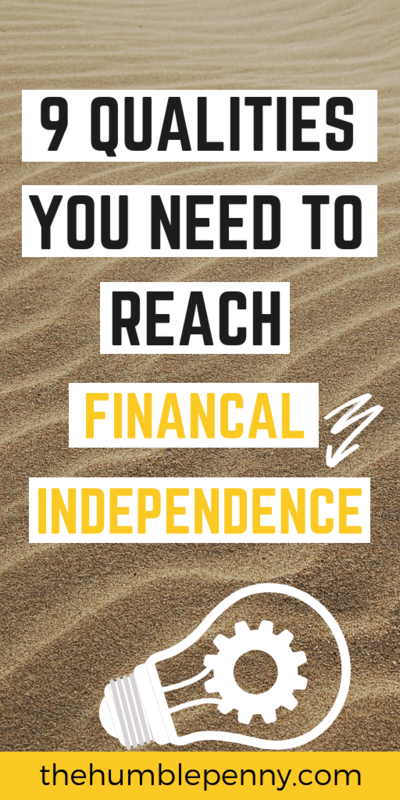 What other qualities do you think are needed to reach financial independence? 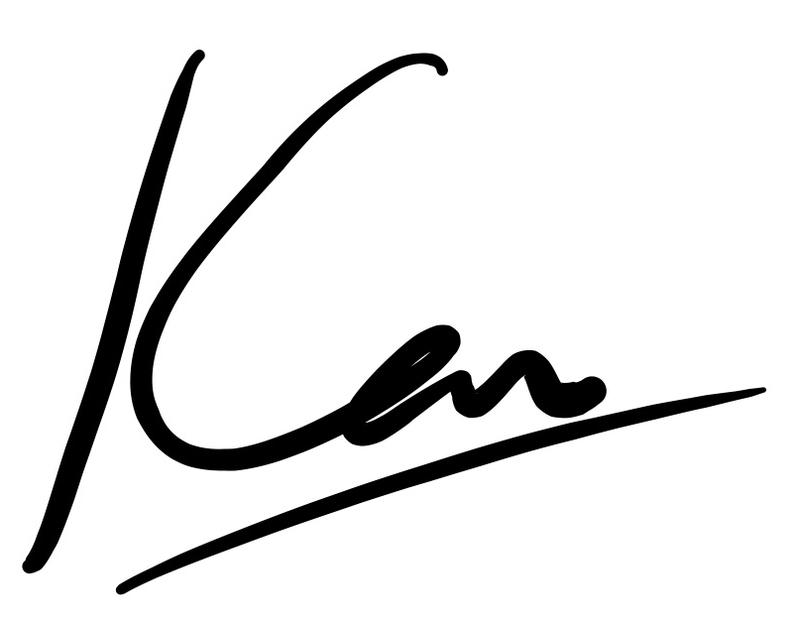 Great post, Ken. Especially love the line “to become fearless you start by fearing less each day”. A very motivating read. There’s so much awesome in this post. When I was pursuing a Ph.D., I made a decision: I wanted it more than they didn’t want to give it to me. From that point, it was pretty much a given that it would happen. Financial independence, financial freedom, works the same way. You have to want it more than you fear failure or any other goal. Want it the most, it will happen. I like what Will Smith says: God put the best things in life on the other side of fear. 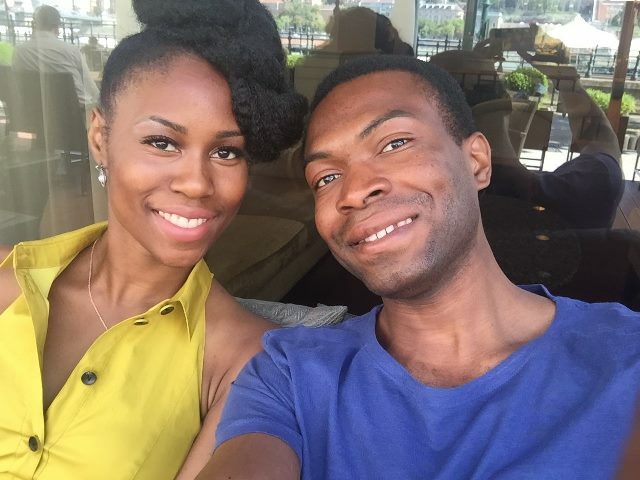 I appreciate you stopping by and sharing your perspective. Congrats on your Ph.D too! Fear is a really interesting topic and one I talk about quite a lot. If you have the time, check out our YouTube channel (search “The Humble Penny”) for a video I did with another friend who runs a blog called The Escape Artist. We pretty much had a casual chat about how fear has driven us personally. Lovely post, thank you! I especially enjoyed the “winner” in the beginning. I do agree with all the 9 traits, but do I need to be all of these things? This kind of describes a perfect person. I was hoping I could have some flaws too and still make it maybe? Also, how is perseverance and consistency different? I should have made the direct point that one grows to embrace some of these qualities over time. The more of them you have the better. And there isn’t really a state of perfection with any of them. They’ll remain challenges in various ways over time. As an example, I continue to be challenged by consistency in some areas, although I’m much better at being consistent than I used to be. Re Perseverance vs Consistency, I see the former as determination. One can be determined all they want but still lack consistency.